In January, 1914, Bangor’s handsome Richardsonian Romanesque Opera House (1882, Arthur H. Vinal, architect), burned and had to be demolished. The lot was purchased by Joseph P. Bass in February, 1919 (Bass was a prominent businessman and publisher of the Bangor Daily Commercial) who announced that the Opera House would be rebuilt for the lessee, the Alfred S. Black chain of theatres. Edward J. Bolen of Old Orchard Beach and Boston was named the architect at the same time. Renderings of the façade and descriptions (quoted below) appeared in the press. The second Opera House was the last in a long line of downtown Bangor theatres which began in 1836. In 1966 it became Bangor Cinema, and a number of unfortunate changes including that of the marquee occurred over the years. For a while it was used for concerts of the Bangor Symphony Orchestra. However, deferred maintenance took a toll on the exterior and interior of the building. The building was acquired by the Penobscot Theatre Company in 1997. The company had been operating in the Unitarian Memorial Vestry (Wilfred E. Mansur, architect, 1888) which they first leased and then purchased in 1986, with the help of the greater Bangor community. The theatre sold the vestry to Merrill Bank (now People’s United Bangor Bank) in 2004, and the Vestry then underwent a major restoration as a banking center. The Penobscot Theatre has been engaged in the restoration of the Opera House since acquiring it. The façade was beautifully restored in the winter of 2007-08 while the theatre remained in operation (G. Drake Masonry), and a replica of the original marquee was later put in place. (The Opera House is included in the Main Street Historic District under the ordinances of the City of Bangor.) The project received the 2009 Honor Award for Community Revitalization from Maine Preservation. In 2016, the company launched a capital campaign to support a number of building improvements, and our patrons and the philanthropic community responded generously. 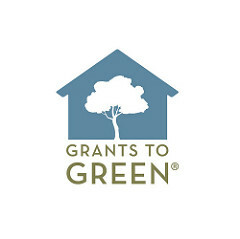 With leading support from the Grants to Green program, the company upgraded its HVAC to a high-efficiency system powered by natural gas, invested in state-of-the-art LED theatrical lighting, which enriched productions while lowering energy costs; and made numerous repairs to tighten the building envelope, realizing a 20 percent decrease in draftiness from the prior year. For the start of its 44th Season, the company also replaced the 322 chairs occupying the orchestra level, refinished the original wood flooring, replaced threadbare carpet, and installed elegant lighting fixtures to illuminate fresh wall colors and decorative accents.